Do you have a large-ish area to spray and don't like using a repeating trigger type sprayer? Then transferring your solution to this sprayer is your answer. Seal the container and add pressure to it with the manual pump at the top. Then simply point and pull the trigger for a continuous spray application. 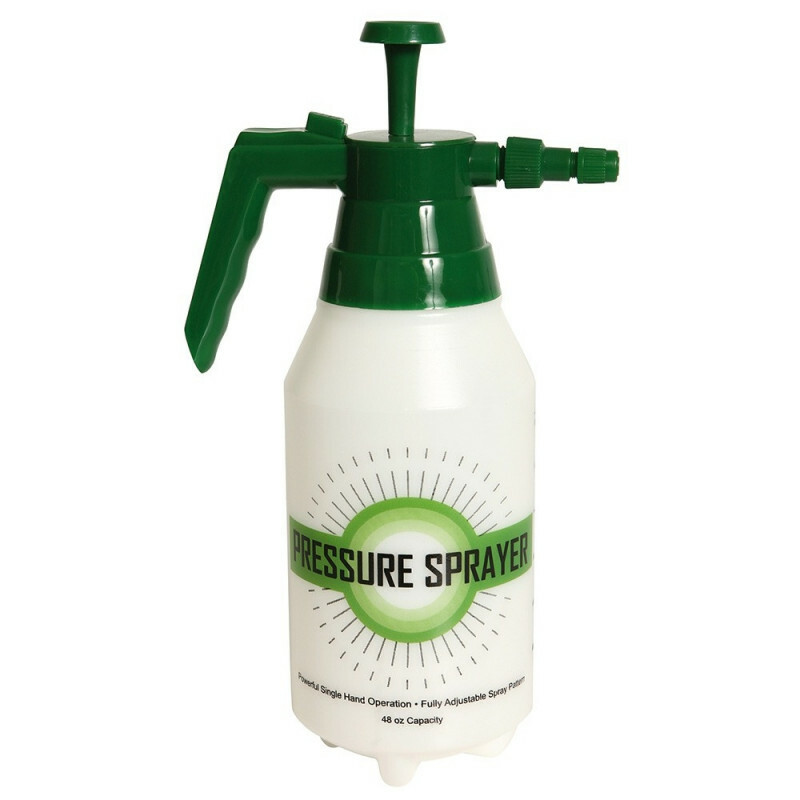 This hand sprayer has a capacity for 48 fluid ounces or 1.5 quarts of your favorite solution. This kind of a sprayer is ideal for applying traffic lane pretreatment or carpet encapsulation solution to dwell in your carpeting before doing an extraction. For other types and capacities of sprayer to a look through all of our solution sprayers. Industrial quality sprays continuously after quick priming. Lever-Lok for big spraying job convenience. Complete operation and maintenance instructions on container.